One of the use cases often described with MEMS is using these devices to clear up problems in the human body. This article describes an effort headed by the Korea Evaluation Institute of Industrial Technologies (KEIT) to create ‘microswimmer’ robots to drill through blocked arteries. 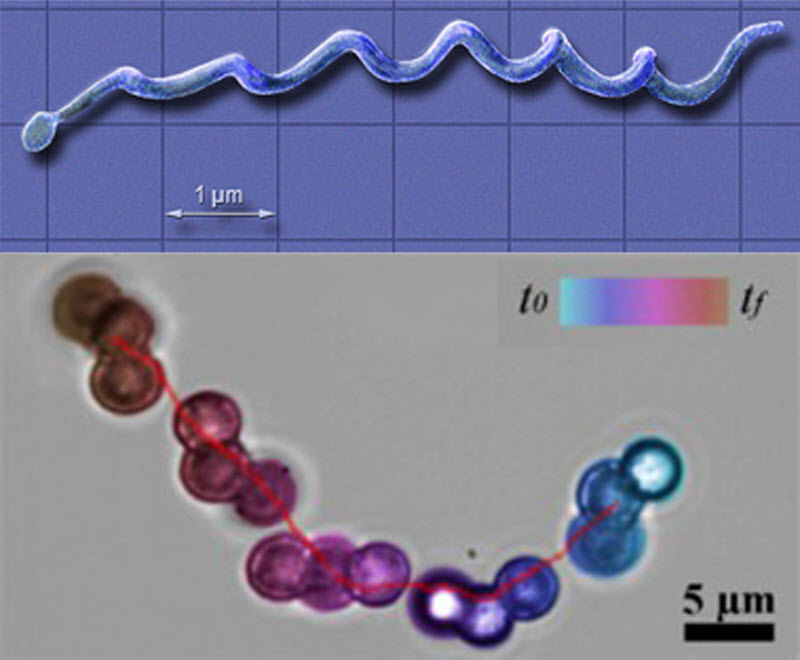 These swarms of microscopic, magnetic, robotic beads which look and move like corkscrew-shaped bacteria. Once flow is restored in the artery, the microswimmer chains could disperse and be used to deliver anti-coagulant medication directly to the affected area to prevent future blockage. This procedure could supplant the two most common methods for treating blocked arteries: stenting and angioplasty.